GEORGIA. 2017. 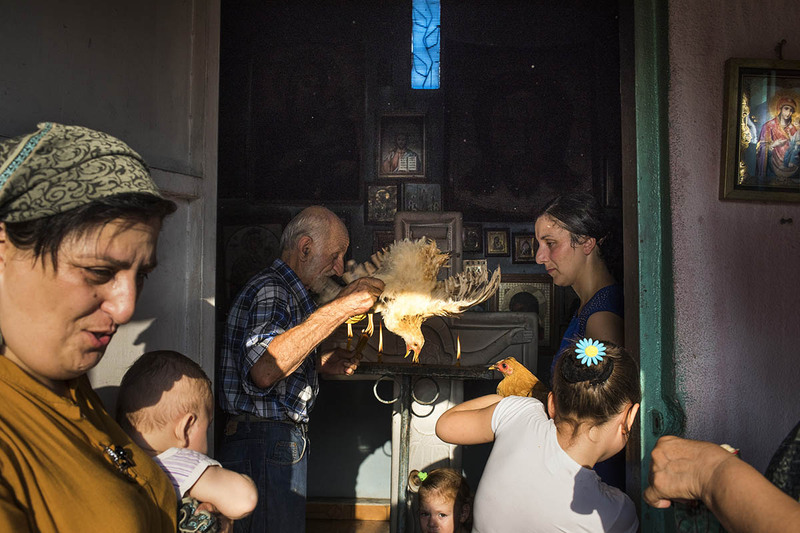 Residents of the village of Khurcha participate in a church ritual. Prior to March 2018, the village was one of the main checkpoints in and out of Abkhazia. It has now become more isolated.